Simply peel off paper backing and apply... no messy glueing...no waiting for glue to dry...makes a neat job every time. 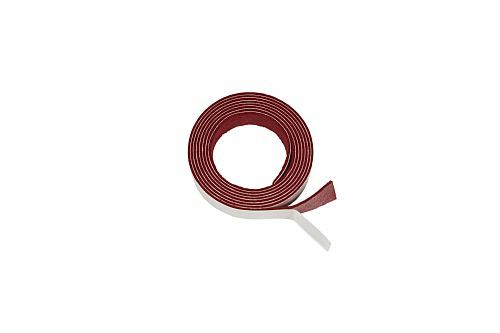 5/8" wide x 52" long - per strip: Med. Thick .060"
The perfect product for my needs. I used it for lining a wine rack where the bottles meet the wood holders. We received everything we ordered very quickly. We were happy with everything and would order here again. Thanks for such quick service. I was happy with all of the items I ordered. The Nameboard felt was quite convenient. Thanks so much for sending the goods promptly.